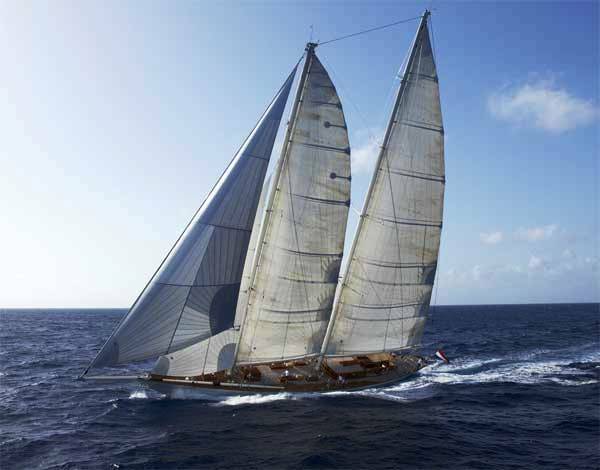 Sailing yacht WINDROSE is a classic schooner measuring 46.32m (151' 11") built by Holland Jachtbouw in 2002. 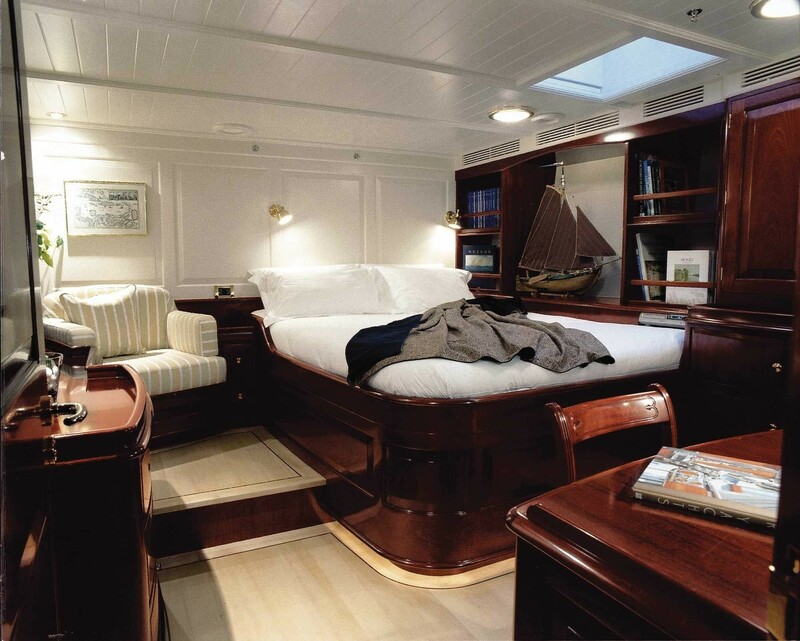 S/Y WINDROSE features naval architecture and interior design by Gerard Dijkstra and Partners created for exciting performance under sail as well as luxurious comfort. 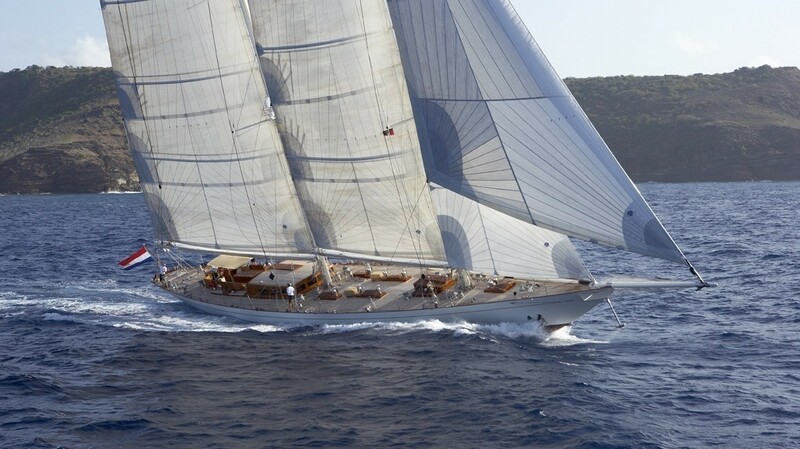 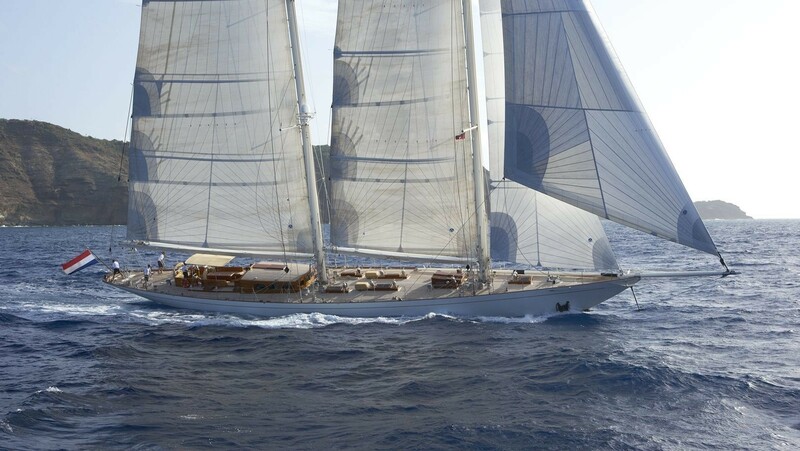 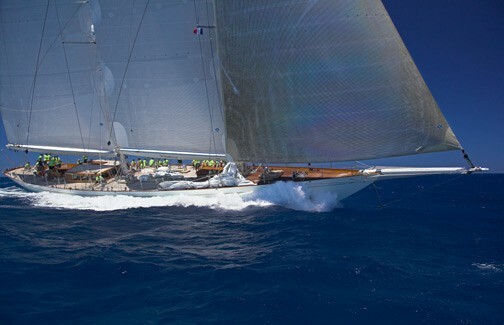 Yacht WINDROSE sports a long sleek classic hull and modern schooner rig designed to perform under sail and win races. 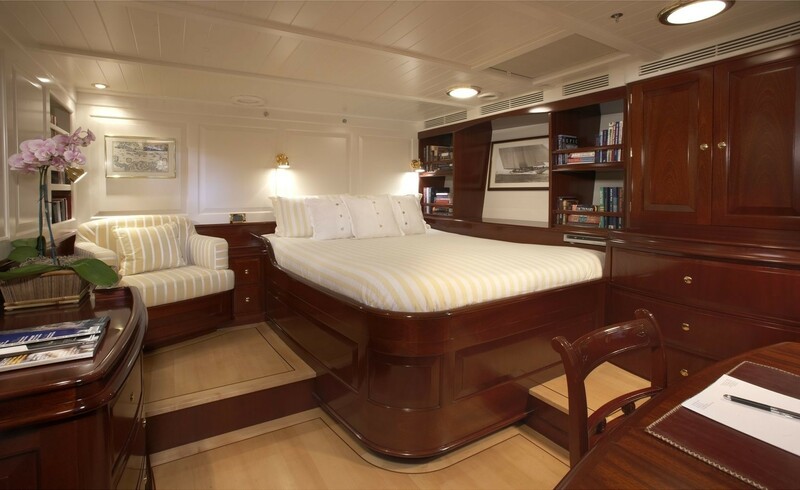 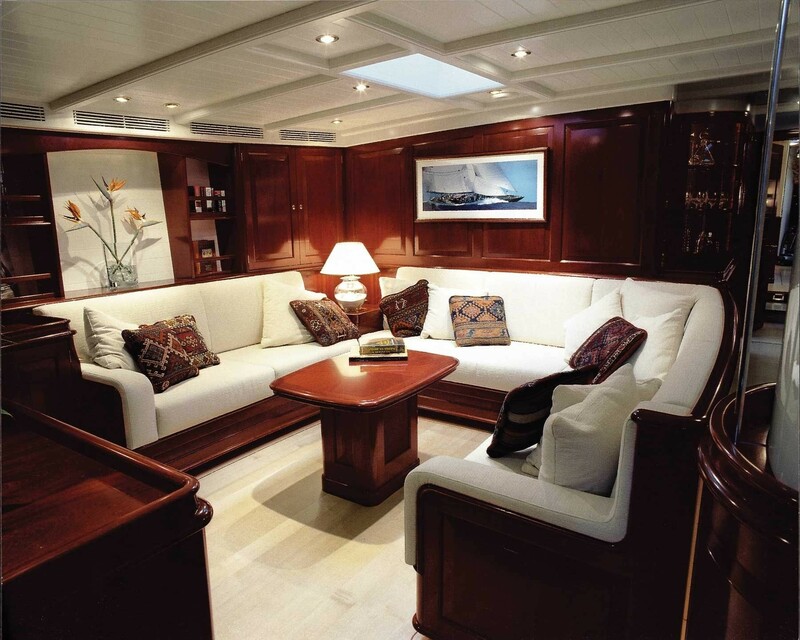 The interior of sail yacht WINDROSE however was created to offer charter guests the ultimate comfort and class, boasting a handcrafted interior with solid-wood panelling and furniture, offset by cream ceilings and sophisticated lighting. 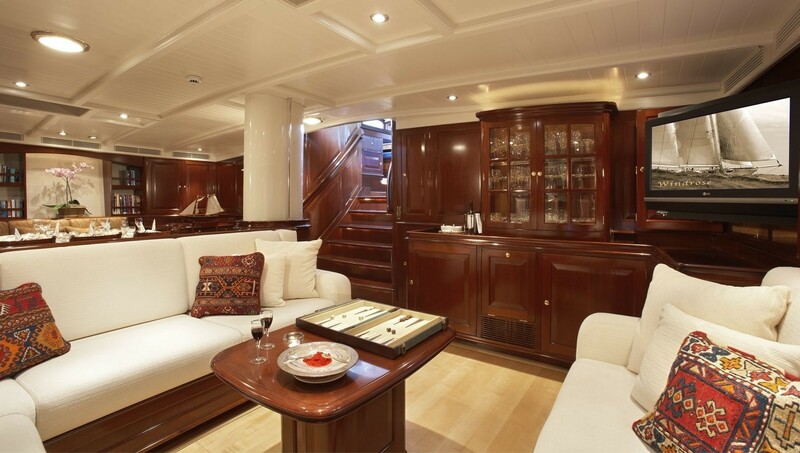 Luxury sailing yacht WINDROSE features a spacious main saloon with a seating area to port and a dining to starboard as well as a pilothouse saloon with a table for dinning or watch the view while under sail. 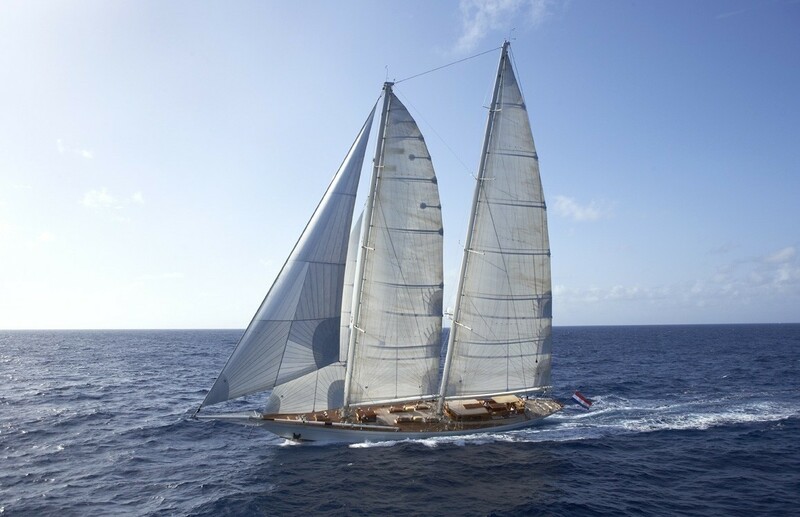 Classic Holland Jachtbouw sailing yacht WINDROSE is able to accommodate up to 8 guests in 4 cabins including a master stateroom with a Queen sized bed, an upper lower twin cabin located aft, and 2 twin cabins with pullman berths located amidships. 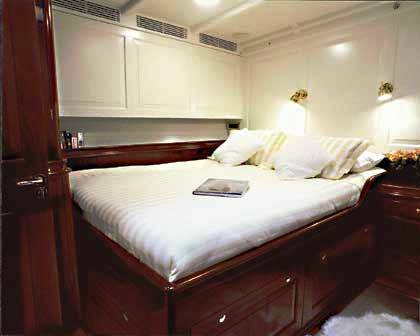 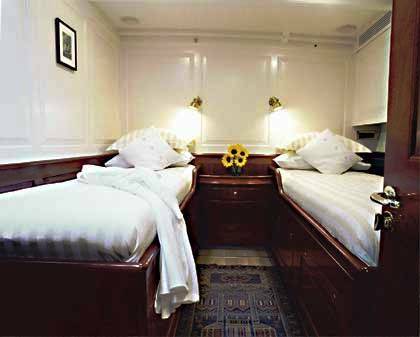 The two mid twin cabins can convert into 2 King size double cabins if required. 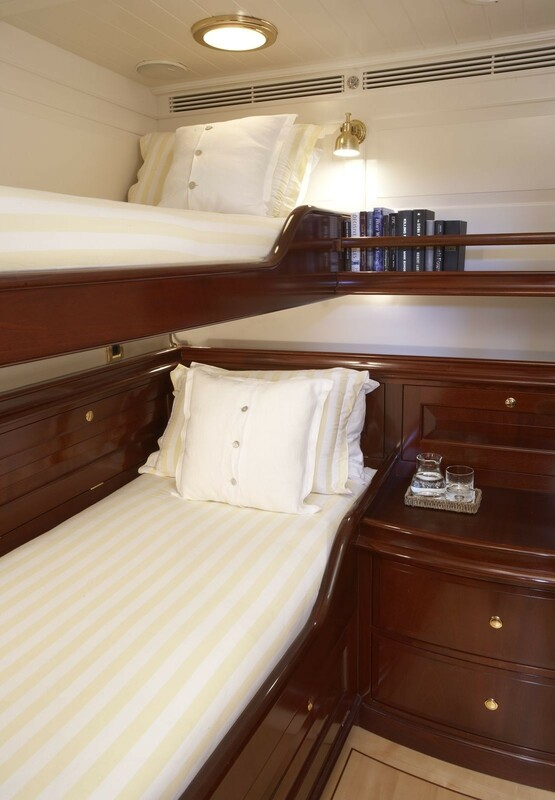 All cabins are equipped with en suite facilities. 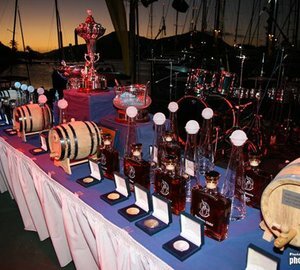 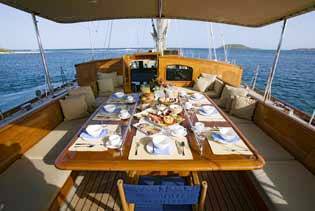 S/Y WINDROSE will accommodate up to 8 guests for charter however, with an additional child or nanny, 9 guests may be considered by the owner. WINDROSE sailing yacht evokes a bygone era while still providing the latest comforts such as her onboard entertainment systems. 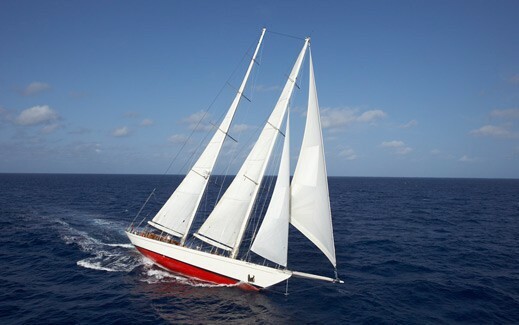 In 2010 Holland Jachtbouw schooner Windrose had her hull re-painted and all new cockpit seat cushions and covers in addition to her usual maintenance programme. 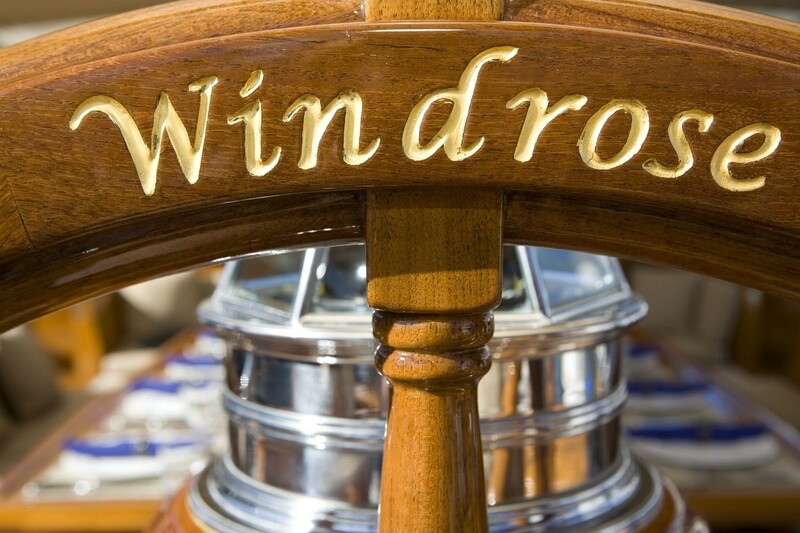 S/Y WINDROSE also underwent her usual twice yearly maintenance of varnishing and servicing of the engines and generators etc in 2008.The racing blade has been recently replaced plus 107 % overlapping cruising/racing genoa and cruising genneker (asymmetric spinnaker) was added. 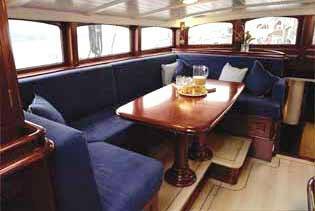 In 2009 yacht Windrose had a 6 week period maintenance of varnishing and anti-fouling, 2 new cruising main sails, plus new bed linens. 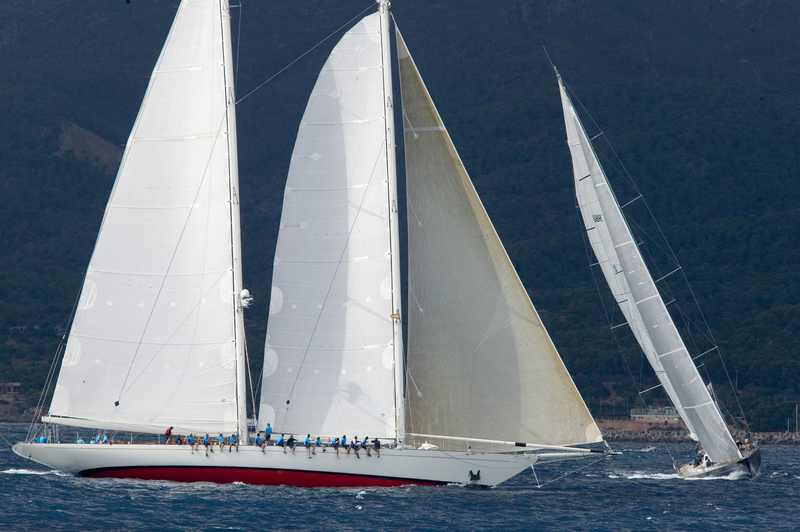 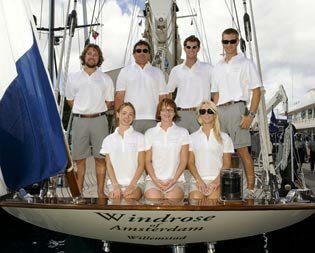 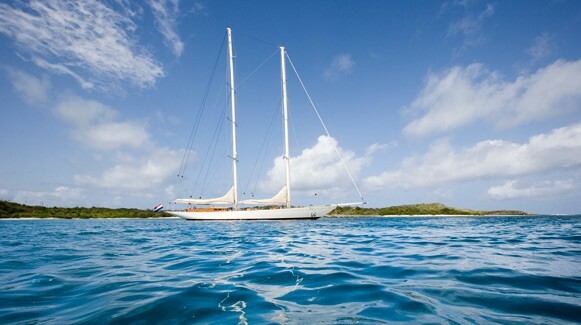 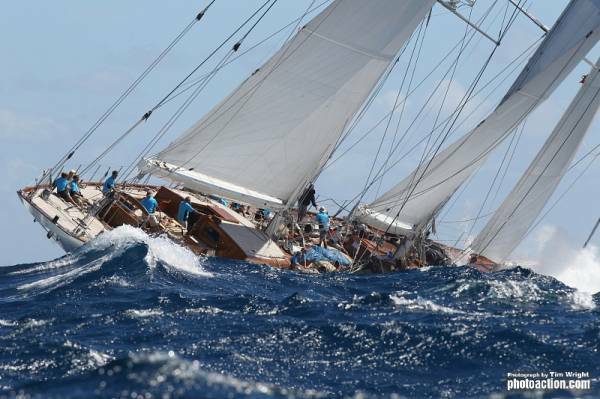 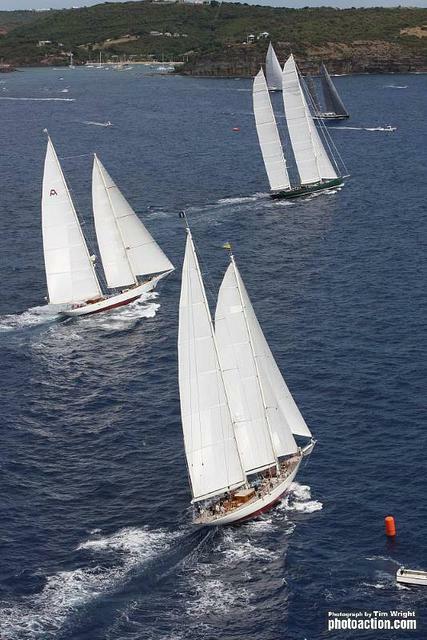 Sailing yacht WINDROSE has a qualified crew of 7 and is available for race charters. 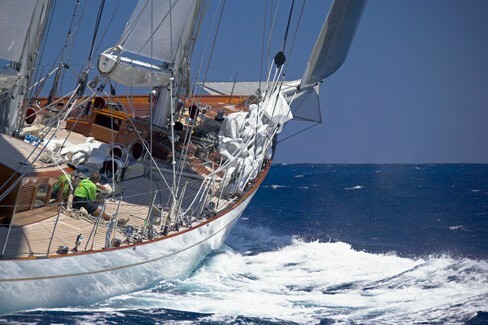 Please contact CharterWorld for further details. 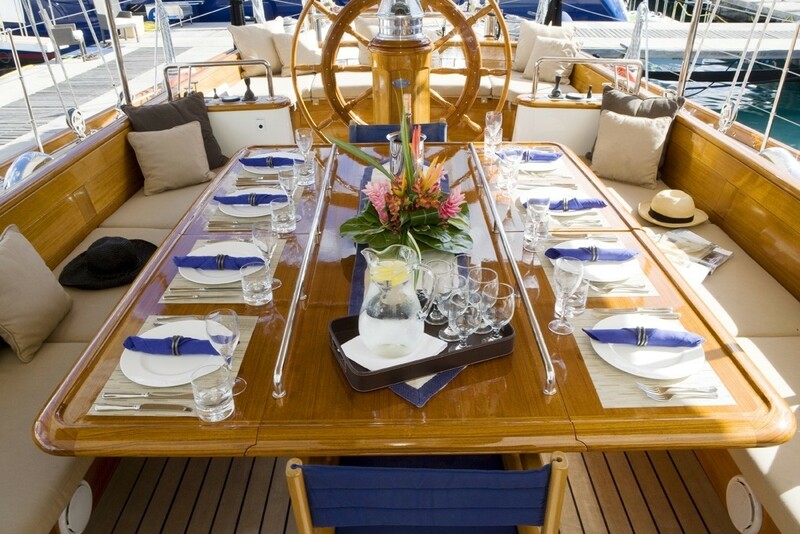 Sailing yacht WINDROSE has a good selection of extras onboard including a 4.3m (14.2') Novurania 430 tender with Yamaha 70 h.p. 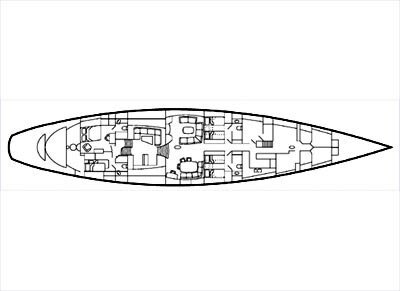 4-stroke O/B, a 3.4m Zodiac Fast Roller with 8 h.p. 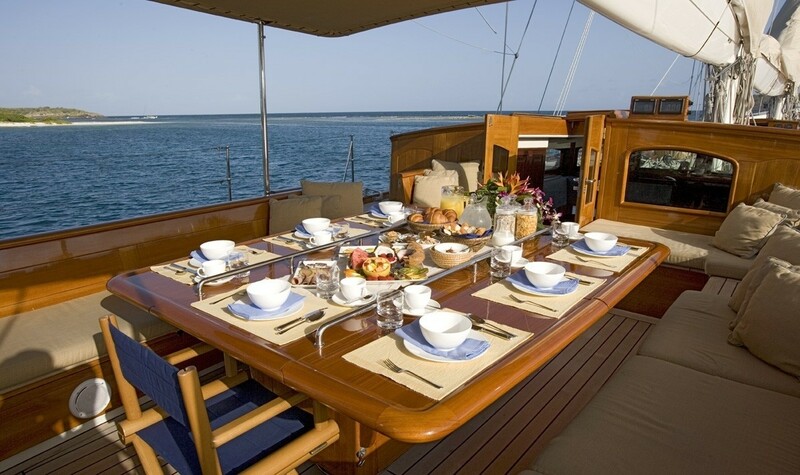 O/B, Water-Skis and tows, a Wake board, a Windsurfer, 2 Inflatable Kayaks, Assorted inflatable toys to tow, a Childs paddling pool, Snorkelling equipment, Fishing equipment, 4 Pads for Sunbathing, Various books and board games. 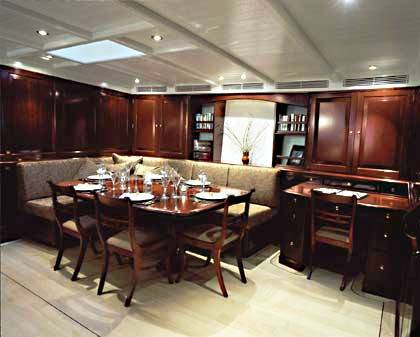 Communications onboard include Fleet 55 Satellite communications (Phone fax and data), Cell phone, WiFi - via Satcom. 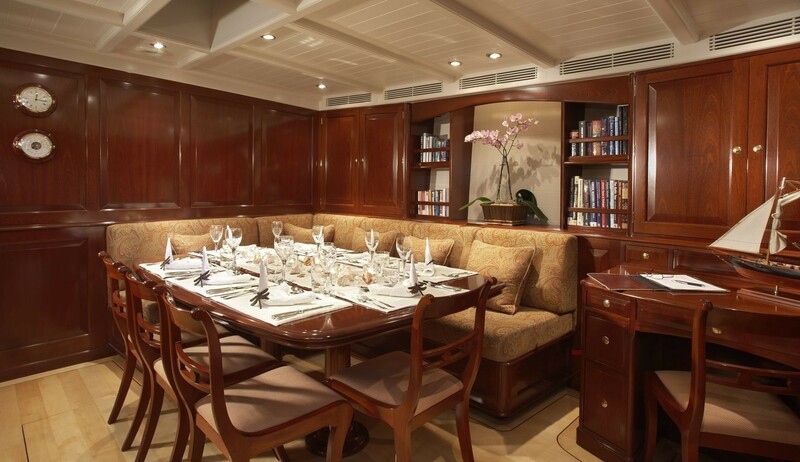 Audio Visual Equipment and Deck Facilities include Multi-standard Flat Screen TV and DVD in main saloon, TV and DVD in the Aft Cabin, CD/Radio in each cabin, DVD library, iPod connections in the saloon and exterior.